Vegan noodles, avocado on bread & co. 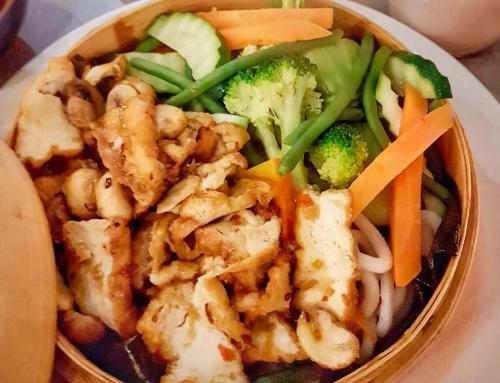 The Klub Kitchen is a café near Alexanderplatz serving lunch dishes including vegan sweet potato glass noodles, green salads, and a rice bowl. 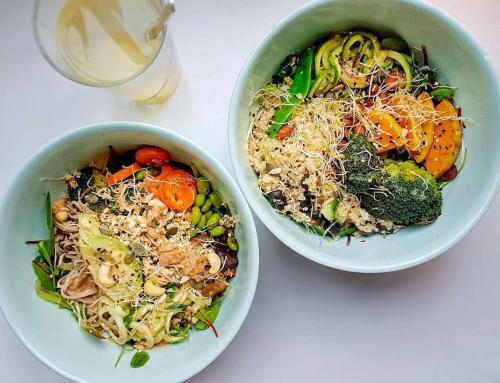 Plant-based dishes include an avocado sandwich, sweet potato glass noodles with tofu as well as a green bowl with broccoli, asparagus, and spinach (order without parmesan). 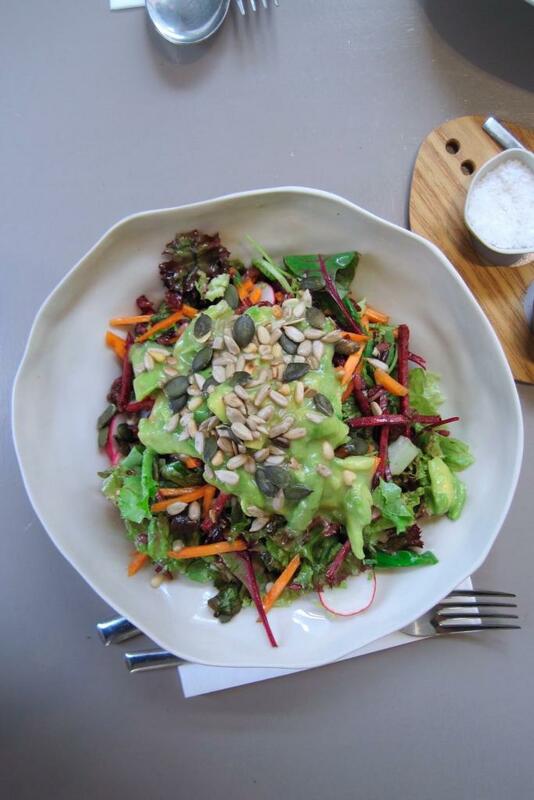 There is also a spelt-lentil-salad with radish and almonds (also order without cheese) and a “Raw Veggies Rice Bowl” with beetroot, avocado, red rice, mixed salad, and seeds. 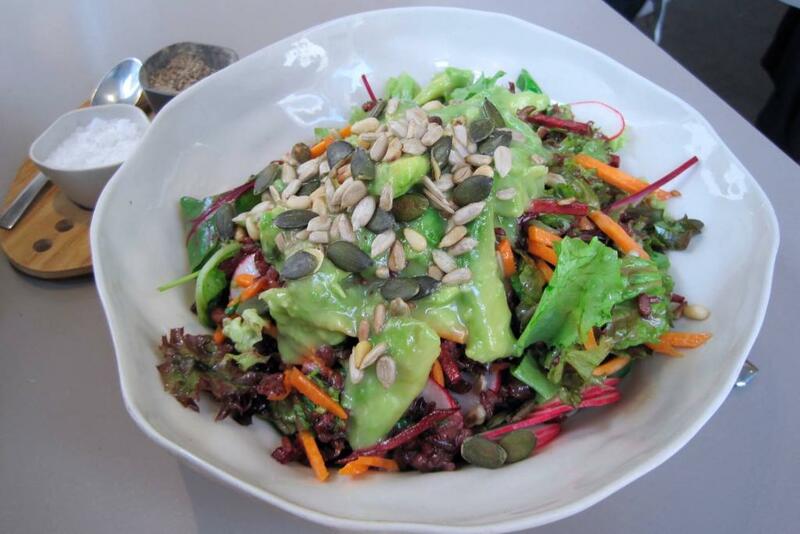 They also serve coffee, fresh juice and homemade lemonade in addition to other non-alcoholic drinks. 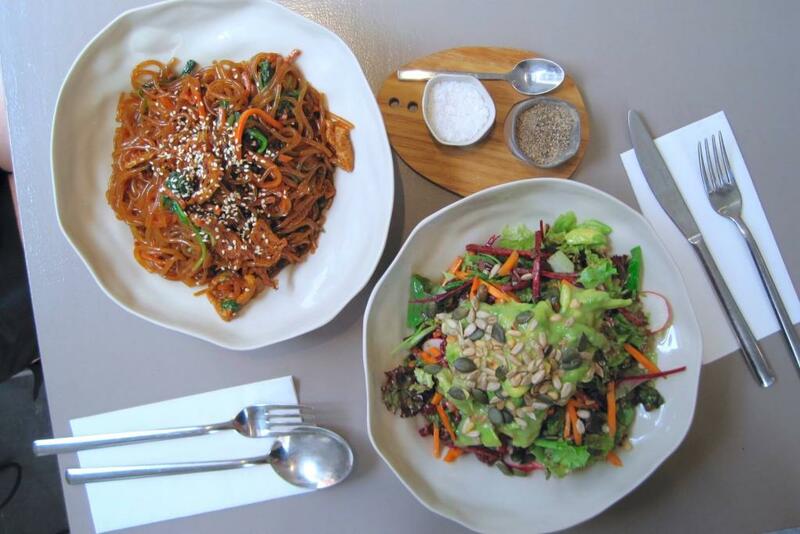 The food is prepared freshly and served in stylish plates and bowls. 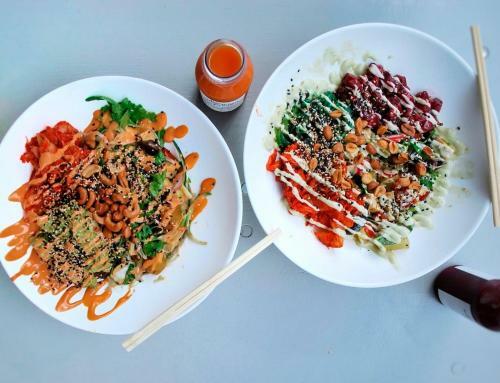 As the focus of their menu seems to be clean eating, there are vegan, vegetarian and a couple of gluten-free and raw options (but also a few meat ones). 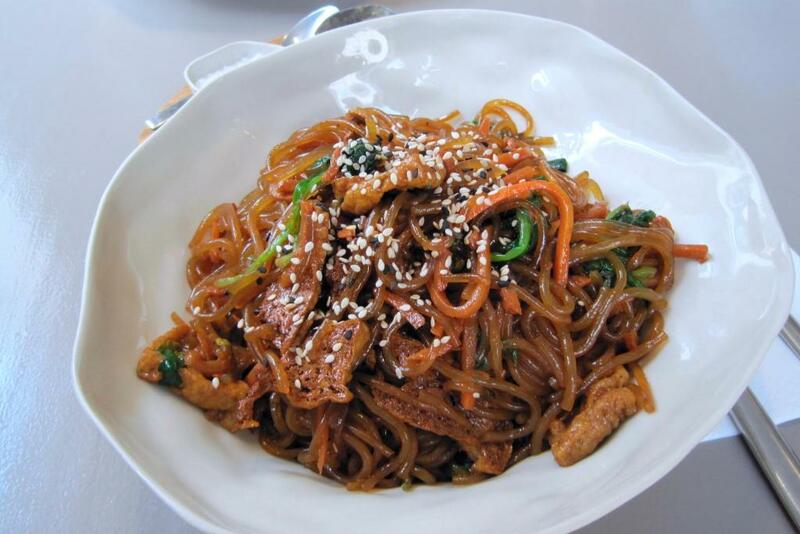 We really enjoyed the food here – the taste and combination of ingredients as well as the large size of the portions. During lunch hours, it becomes a very crowded place with lots of employees of the area coming in to eat. If you want to avoid waiting come early (before 12:30 pm) or late (after 1:30 pm). 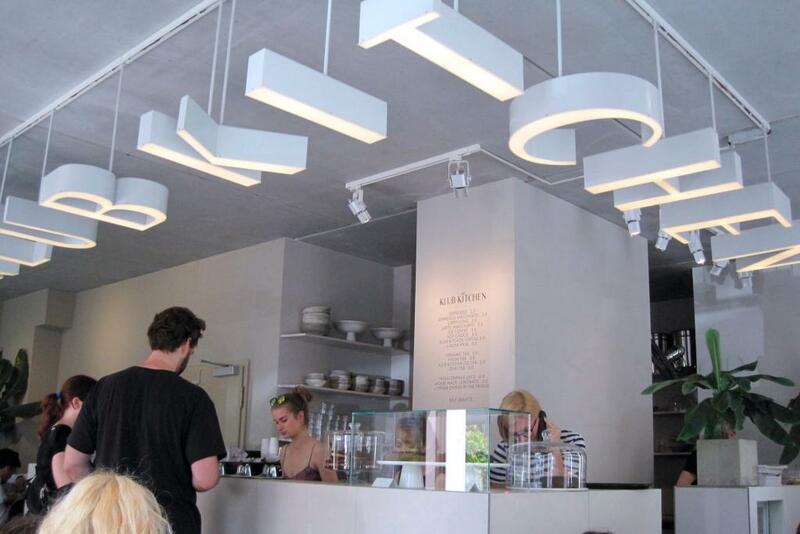 A very stylish place, Klub Kitchen is dominated by white or light grey furniture and accessories. 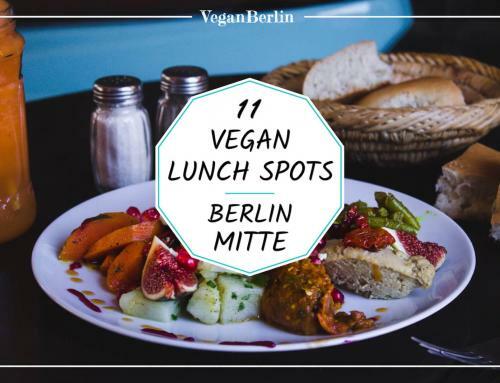 Creating a somewhat cold atmosphere, the modern lights and large windows make it a welcoming change to the usual vintage-styled cafés in Berlin. 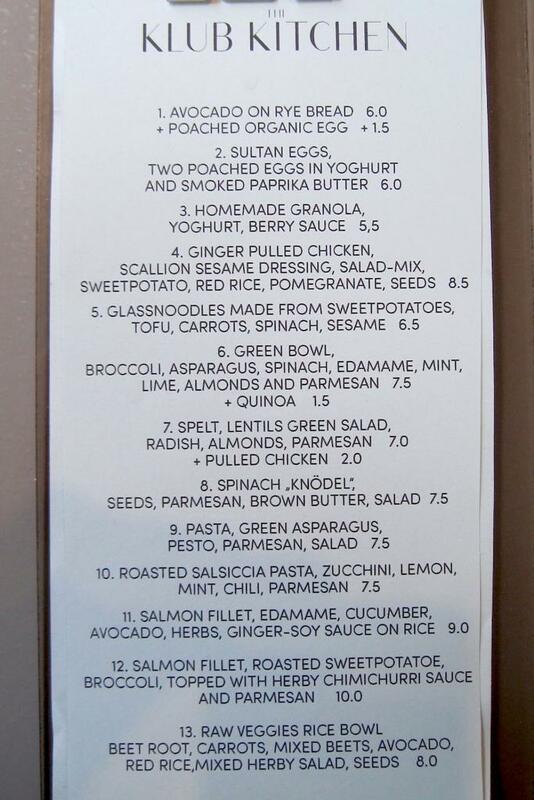 Prices are average for the area of Mitte – a main course is between 6 and 9€. In summer there are a few seats outside. Inside there is space for about 40 people. 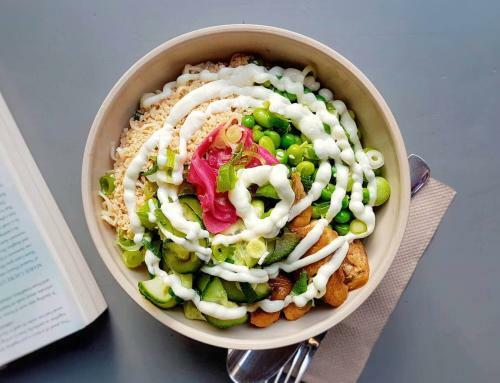 We recommend the “Raw Veggies Rice Bowl” and a coffee. We visited “The Klub Kitchen” in August 2017.